Kaito's dress seems inspired by Ezio Auditore! 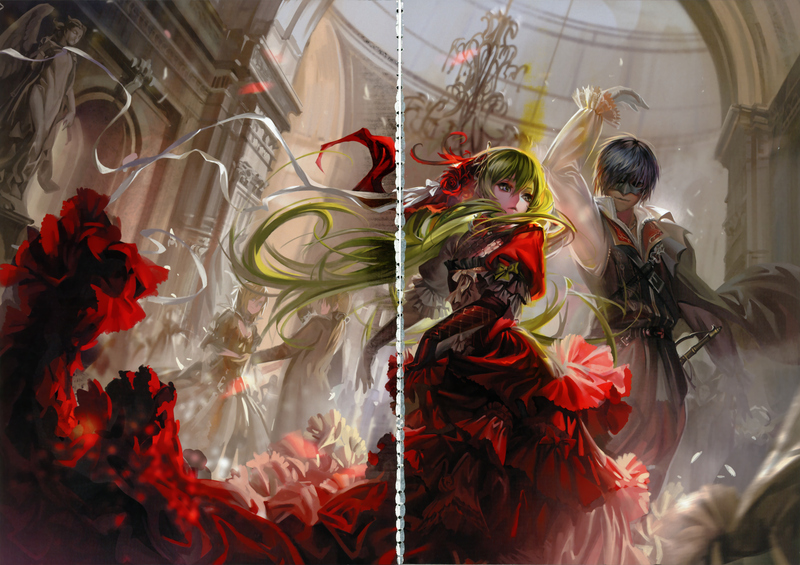 Cantarella isn't it? There Rin in behind of Miku and Kaito. It really is a beautiful piece of artwork, but it reminds me of "the mask of zorro" for more obvious reasons, but non-the-less beautiful.